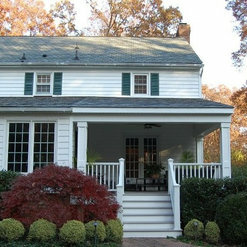 Deep Run Renovations is a full-service, residential design-build remodeling firm proudly serving the greater Richmond, Virginia community. We offer a broad range of both renovation and new construction services, specializing in kitchen and bath remodels, home additions, and outdoor living spaces. 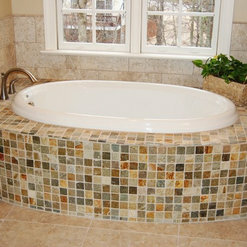 We understand that home remodeling comes in a variety of shapes, sizes, and budgets. Our goal is to provide excellence in workmanship and unparalleled customer service regardless of the size of your project. 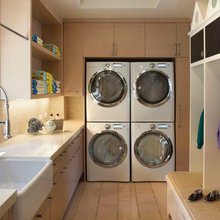 We anxiously wait for an opportunity to share a truly unique and innovative remodeling experience with you. DRR took my floor-to-ceiling avocado green kitchen and transformed it into a beautiful and functional centerpiece of my home. Very detail oriented, DRR leaves nothing to guesswork - and as a result, delivers to the customer exactly what she wants. Two years later and I am still thrilled with the project and hope to hire them again. I hired DRR for a remodel that included adding hardwood floors, a kitchen peninsula, new kitchen countertops, and some electrical work. Very happy with the project - The company's owner communicated well and always had our best interest in mind with the sub-contractors. The employees were prompt, respectful, and detail-oriented. Highly recommend this company! Gary and his team put in a two story addition to our house. We couldn't be happier with his work. No t only were his guys respectful and courteous, they were on time and completed their allotted jobs professionally. Not only did Gary complete his contracted job but also modified it to add in changes we wanted. This flexibility ensured complete satisfaction with our addition. 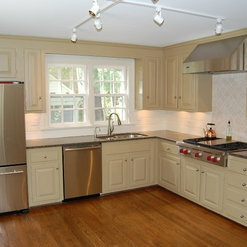 We are thinking of renovating our kitchen and are planning on using Deep Run Renovations again! Thanks Gary!! 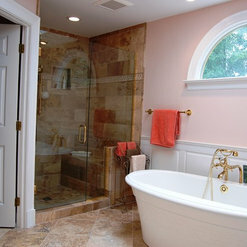 We had our master bathroom completely gutted and redone and couldn't be happier. The Deep Run team is professional, skilled, trustworthy and respectful. They answered our questions and put our minds at ease. We had a difficult time finding a contractor we liked, and are glad we found Gary. Already thinking about the next project. 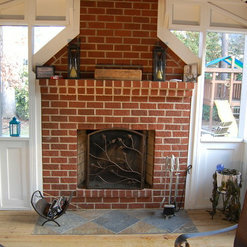 We hired Deep Run to build us a screened porch. We choose Deep Run because they convinced us that they would keep us informed of decisions and status along the way. We could not have been more pleased with Deep Run. They went out of their way to make sure that we were comfortable with the decision that they were making and asking us our opinions beforehand. They let us make the decisions but made sure to politely inform of decisions that may not work as well as we thought. We felt like we were partners throughout the entire project and were extremely pleased at the end. 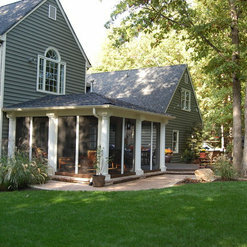 We love our porch and would definitely use Deep Run again in the future. 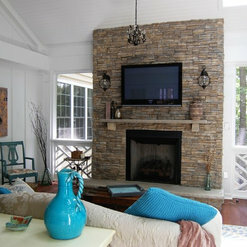 Gary and his team at Deep Run Renovations are wonderful to work with on a renovation project. Gary helped us through every phase of our kitchen remodel and ensured that we thought about all the details. His team was very considerate and professional while working on site - kept the site as clean as possible, were thoughtful of my husband working at home, and did incredible work. When doing a project of this size, you want someone who will help keep track of all the details and many decisions to be made, while also keeping to a budget and a timeline. Gary did all of this and more - we will definitely work with Deep Run Renovations again! 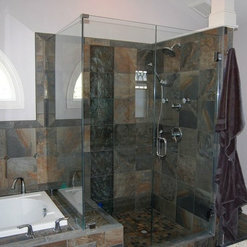 I have worked with Deep Renovations 3 times over the past several years. The projects have ranged from Kitchen remodeling to major additions to our home. In each project they have exceeded my expectations. They spend a lot of time with you up front making sure they clearly understand what it is you want to do and they give plenty of suggestions when asked. Their quotes are right on the mark and if I made choices during the construction phase that might change the end price Gary (the owner) will let me know in advance so there are no surprises when the final bill arrives. Their work has always been excellent. Gary goes the extra mile to make sure I am pleased with the outcome. He is very detailed oriented and focused on the customer. 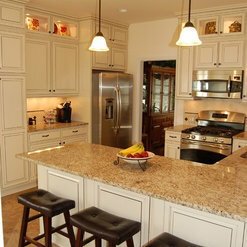 I have recommended Deep Run Renovations to my family and friends several times. 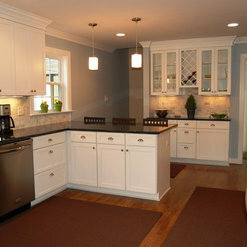 I will also hire Deep Run Renovations for all of our future home projects and renovations. 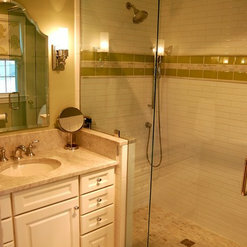 We had our hall bathroom and master bathrooms renovated at different times. Gary was great in hearing all of our desires and worked with us in seeing those wishes come to reality! His crew was always on time, professional, neat and friendly! And the jobs were completed on time!! Gary Harless and his team made a challenging renovation a very positive experience for my family. I have two small children and Deep Run couldn't have been more respectful of the challenges we faced living through a renovation in the center of our house, including keeping the house as clean as possible and keeping to the committed timeline on the most complex parts of the remodel. Gary also provides very direct input and feedback throughout the process. His creativity and willingness to re-use and recycle as much as possible helped make the project affordable. And his final invoice for the typical project "extras" couldn't have been more fair. He's a very honest guy (sometimes to a fault) which made it easy to trust him leading to an overall very good experience. And the result was well worth it. I definitely recommend Deep Run Renovations and will look to work with them again in the future. We first hired this company for 90 days (August thru October 2010) for a complete remodeling of our Kitchen (hardwood floors, cabinets, ceiling lighting, painting, appliances), Sun Room (4 windows, 2 sliding doors, hardwood floor, ceiling lighting, painting), Den (hardwood floor, ceiling lighting, painting), Half Bath (tile floor, painting, toilet, pedestal sink), Dining Room (painting), Deck (complete new deck). 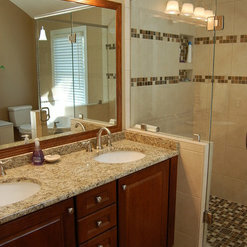 We next hired this company for 60 days (February thru March 2012) for two full Bath Rooms (tile, cabinets, toilets, bath tub, shower, lighting, electrical, painting), and for crawl space repair. We have been satisfied with the owner, his staff, his sub-contractors, and his recommended vendors. They all have been professional, very respectful, and clean as they progress. Deadlines and budgets are reasonably met with any overages being for additional things we wanted or for things they discovered that needed addressed that were not evident up front. We hired them twice and would use them again without hesitation. We highly recommend them. Deep Run Renovations was a great company to work with. 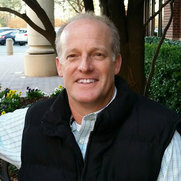 Owner, Gary Harless, listened to our needs and fulfilled them. His subcontractors were professional and prompt, and we really had no problems. We totally remodeled a master bath and closet, and the end result is just beautiful - a truly joyful space. 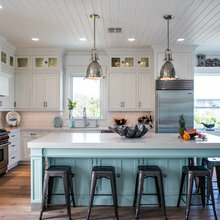 Commented: What color paint is on the walls, and the cabinets?The cabinets are Wolf Designer in their pre-finished White. 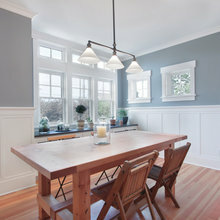 The wall colors were matched to existing wall colors in adjacent rooms and not from a standard paint brand color. Sorry. Commented: what color is the flooring? 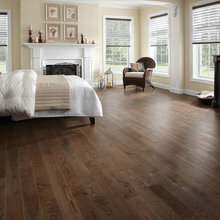 What kind of flooring is it?This is 2.25&quot; tongue and groove white oak that was site-finished to match the stain color of other, existing flooring in the rest of their house. It was a custom stain-match color.